Symphony Table Boxes bring elegant form to function. 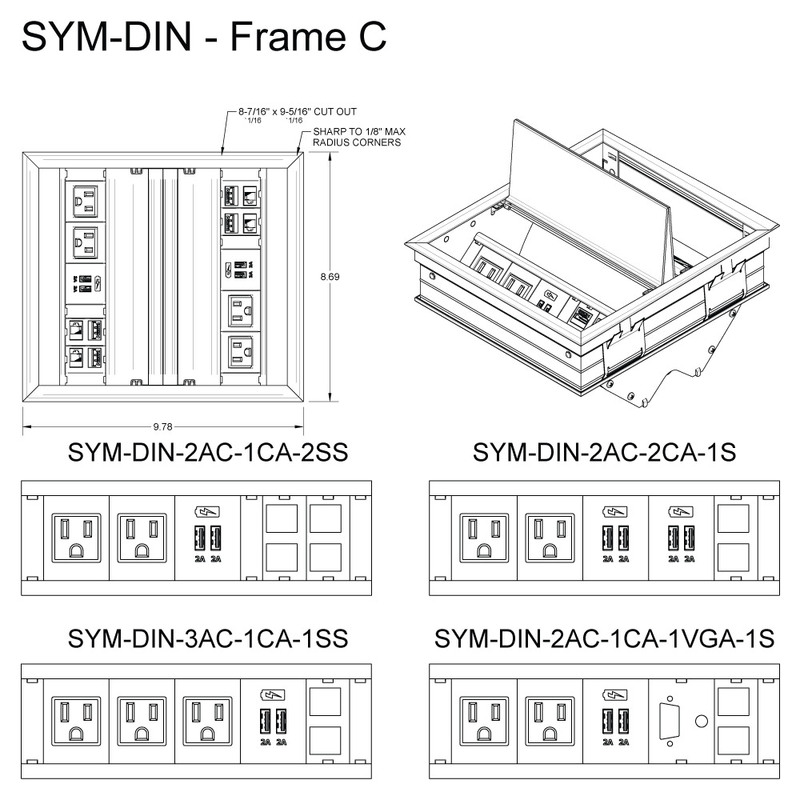 The SYM-DIN "Dual In Table" model provides an attractive user interface while solid construction throughout ensures reliable performance in demanding environments. There are a variety of stock models available allowing access to network. CATx cables along with AV cables and AC power while maintaining aesthetics in modern interiors. The standard models can be ordered with up to three AC outlets, two USB charging ports, and two low voltage openings that receive FSR Simple Solutions and Hubbell™ keystone style snap in connectors. 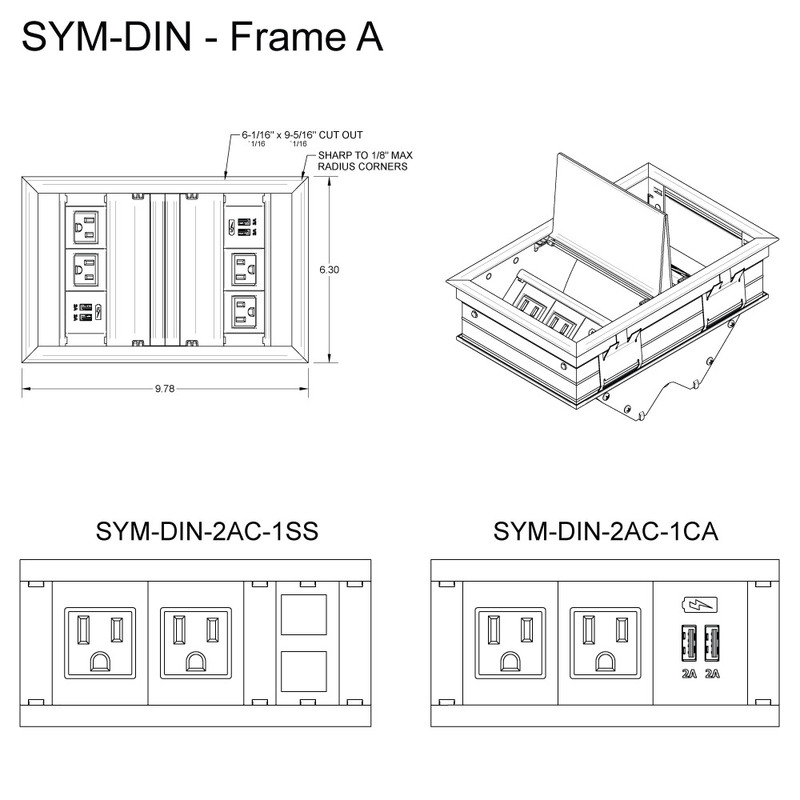 The SYM-DIN "Dual In Table" model provides an attractive user interface while solid construction throughout ensures reliable performance in demanding environments. 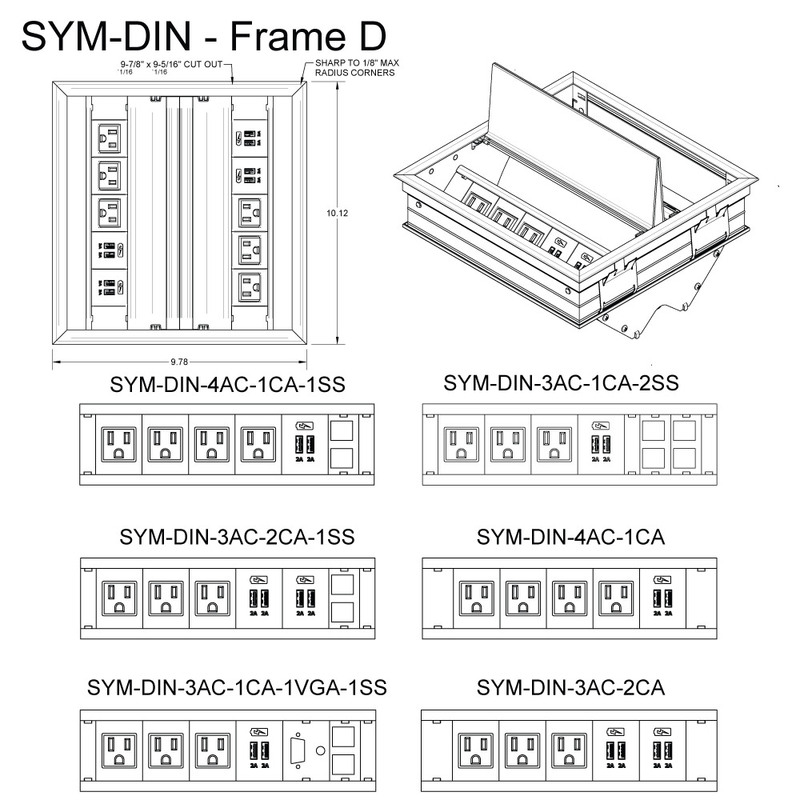 Frame A has the options of a Symphony Dual In-Table with: 2AC with 1 Snap-In or 2AC with 1 USB Charger. 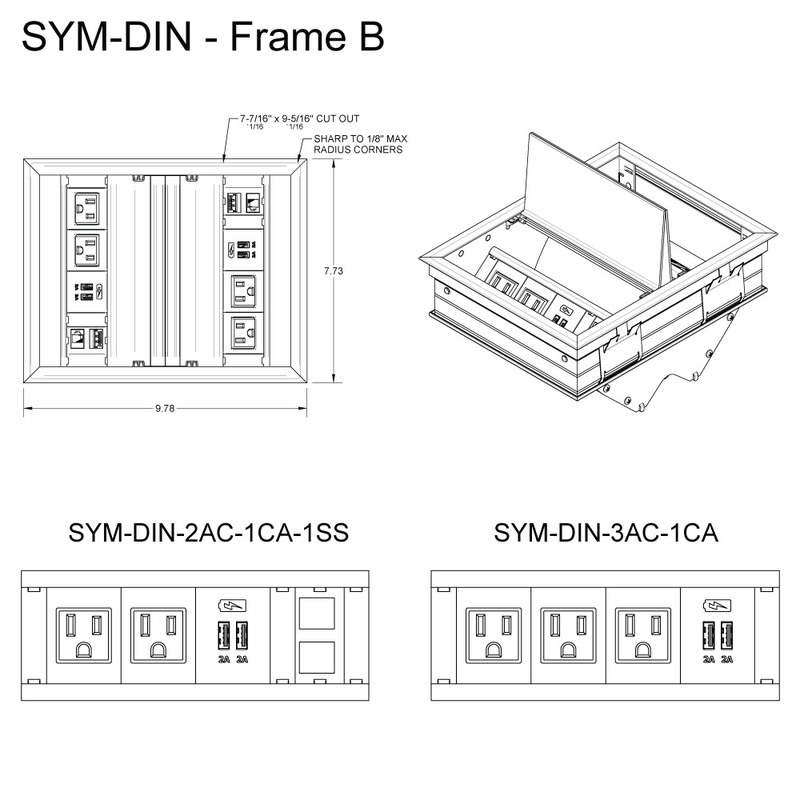 Frame B has the options of a Symphony Dual In-Table with: 2AC - 1 USB Charger - 1 Snap-In or 3AC with 1 USB Charger. Frame C has the options of a Symphony Dual In-Table with: 2AC - 1 USB Charger - 2 Snap-In; 2AC - 2 USB Chargers - 1 Snap-In; 3AC - 1 USB Charger - 1 Snap-In or 2AC - 1 USB Charger - 1 VGA - 2 Snap-In. Frame D has the options of a Symphony Dual In-Table with: 4AC - 1 USB Charger - 1 Snap-In; 3AC - 1 USB Chargers - 2 Snap-In; 3AC - 2 USB Charger - 1 Snap-In; 4AC - 1 USB Charger; 3AC - 1 USB Charger - 1VGA - 1 Snap-In or 3AC with 2 USB Chargers.